From ready-made armchairs constructed from old car seats to innovative carbon fibre furniture: Ron Arad’s works have never adhered to conventional boundaries. The exhibition provides a survey of his oeuvre, featuring spectacular objects from the collection. 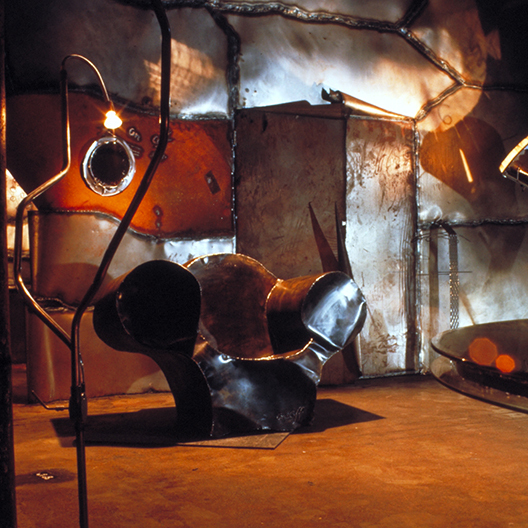 These include early pieces of metal furniture created at his first studio, such as the Rover Chair and Big Easy, but also newer models resulting from the translation of Arad’s experimental approach into serial production. The exhibition conveys the boundless energy of his works, while simultaneously revealing surprisingly functional details – a combination that distinguishes Arad as one of the most important designers of the past decades.